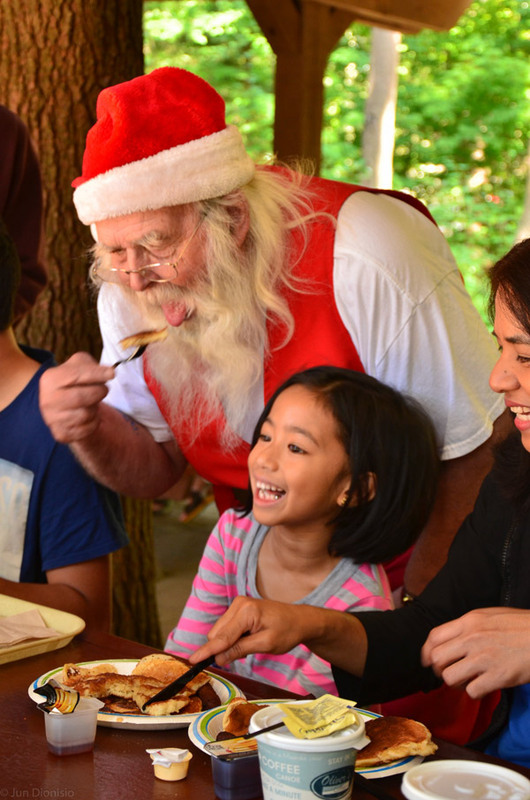 It’s the most important meal of the day, and now you can enjoy it with Santa! Join us between 9:30am and 10:30 am every morning this summer to enjoy a hearty breakfast of jumbo Belgian waffles, whipped cream, fresh fruit, breakfast sausages and local Ontario maple Syrup! The perfect way to fuel up for a fun filled day at Santa’s magical summer home, and only $10.00 for guests who have paid admission to the village!